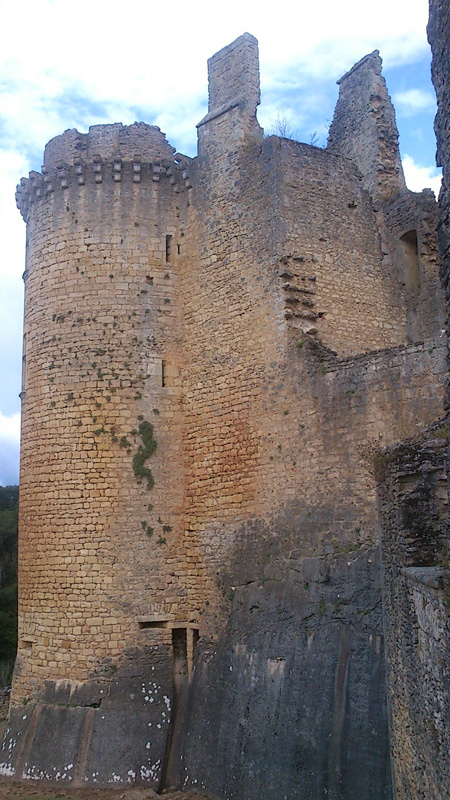 Camping Las Patrasses is located in the Perigord region Purple 45 minutes from Sarlat, 45 minutes from Bergerac airport, 5 minutes from the Black Périgord near Monpazier Vergt de Biron. If you like sensations attraction park, adventure park … Go time a day at Walibi park 1 hr drive. Take the time and enjoy your holidays ! 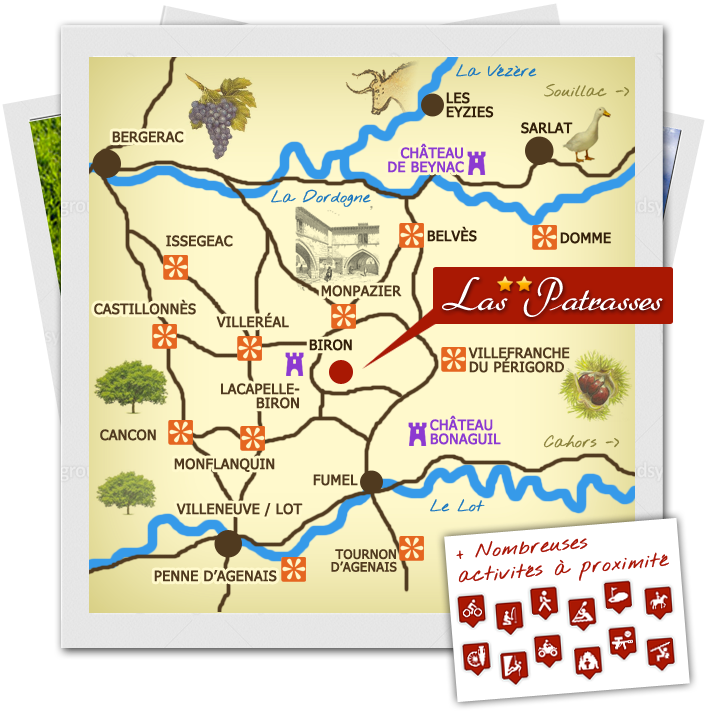 More details on the sites and activities around our interactive map Périgord.